Back again. Hopefully not for the ladt time this month. There are soo many layouts I want to do and never enough time. Almost all his suits had stars on them but this one was my favourite. And these photos making me involuntarily smile! I instantly LOVED it and knew exactly what I was going to do! In fact the sketch was so perfect that for the first time ever I created to page without the photos! The layout is 90% Bella Blvd 'Lucky Stars' collection. In fact the strips that form the herringbone triangles are from the front page of the collection pack where it showcases the papers inside! I also used a few bits from the 'Max' collection and star stamps from Elle's Studio. The 'super star' has been fussy cut from an extremely old piece of Bella Blvd that I have slowly been cutting away at and using on all my pages, like here and here and here. Finally the date stamped with an Amy Tangerine stamp and page done. Thanks for checking it out! Why not leave some love it the comments? Or hate? I don't mind. 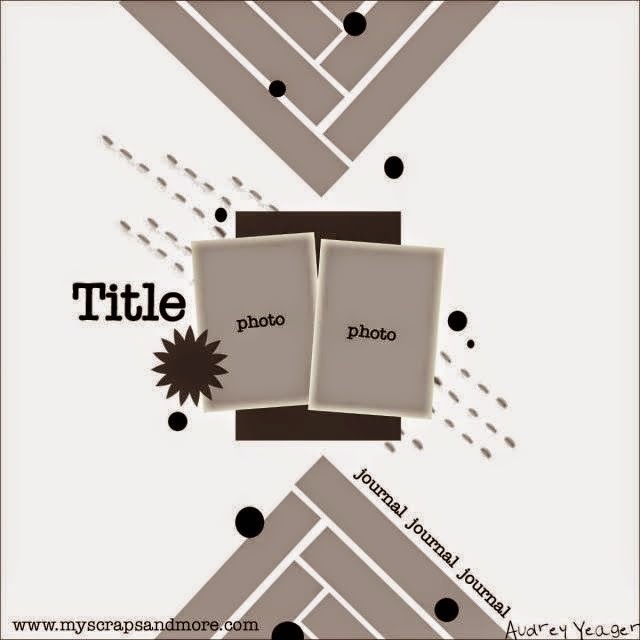 Edit: I am proud to note that this layout was chosen as a one of the Top 3 layouts for August at My Scraps & More. Thank you! Ah-dor-ah-ble page!! Love those photos. And the stars! Thanks for playing along with us at My Scraps & More! What a precious page! Love the photos and all the little stars! Thanks for joining us at My Scraps & More! Oh my goodness this is beautiful! Thanks for playing along with us at My Scraps & More! Oh, how CUTE!! That paper is so perfect for that photo....what an adorable little guy!! So glad you played along with us at My Scraps! Awww, you couldn't of used more perfect papers for the picture! Super cute! Thank you for sharing your page with us at MSAM! sooo dang cute and love the paper mix here!!! thanks sooo much for playing along with My Scraps&More!!! Love your title on this sweet page!